The Best Fashion Advice Blogs from thousands of Fashion Advice blogs on the web using search and social metrics. Subscribe to these websites because they are actively working to educate, inspire, and empower their readers with frequent updates and high-quality information. Fashion Advice newsletter is a comprehensive summary of the day's most important blog posts and news articles from the best Fashion Advice websites on the web, and delivered to your email inbox each morning. To subscribe, simply provide us with your email address. San Francisco, CA About Blog Stitch Fix Style is a completely new & reimagined resource for fashion tips, inspiration & expert styling advice. Facebook fans 1,565,702. Twitter followers 79,981. Seattle About Blog Style advice from expert Angie and a supportive community of fashion lovers helps women of all body types, budgets and lifestyles decide what to wear. Facebook fans 190,543. Twitter followers 1,840. The 'burbs of Washington DC About Blog Personal style and fashion advice blog for busy women. Real-life outfit inspiration, shopping tips, capsule wardrobes, answering reader questions, and beauty geared towards women over 40. Facebook fans 45,718. Twitter followers 4,646. Facebook fans 12,957. Twitter followers 8,912. Cleveland, Ohio About Blog There could be countless reasons for needing a Wardrobe Consultant. Whatever your wardrobe needs are, its our guarantee to take the stress out of getting dressed. Facebook fans 1,397. Twitter followers 87. About Blog Keep up to date with the latest news, trends & style advice on the Ed Harry blog. Find out what's new in men's clothing here & get our hottest tips. Facebook fans 10,836. Twitter followers n/a. Cleveland, OH About Blog The EUREKA fashion moments & the fashion/beauty indulgence! Facebook fans 2,066. Twitter followers 2,807. About Blog Seraphine is the top maternity fashion destination for stylish mums to be, with over 15 years' experience designing maternity clothes loved by celebs & royals. Facebook fans n/a. Twitter followers 8,267. Los Angeles & New York About Blog Ashley Weston is a top Celebrity Menswear Stylist and Men's Style Expert as well as a Contributing Fashion Editor for GQ International. In her day-to-day work as a Menswear Stylist, she has to dress her clients to look their absolute best in their personal lives and also in highly scrutinized situations like premieres, TV show appearances, magazine spreads and advertisements. Facebook fans 4,049. Twitter followers 5,677. Tucson, AZ About Blog The Modest Man helps short men dress better and feel more confident by finding and wearing clothes that fit and flatter their body type. Facebook fans 16,554. Twitter followers 6,756. United Kingdom About Blog Mature woman looking for age-appropriate fashion? You've come to the right place! No more trawling the high street or websites. Here you will get fabulous fashion tips that suits your style. Facebook fans 29,338. Twitter followers 4,364. Melbourne, Australia About Blog Sally Mackinnon, a stylist based in Melbourne, shares latest fashion & style tips, advice, trends & events happening in the fashion world. Facebook fans 2,213. Twitter followers 2,526. Facebook fans 611. Twitter followers n/a. 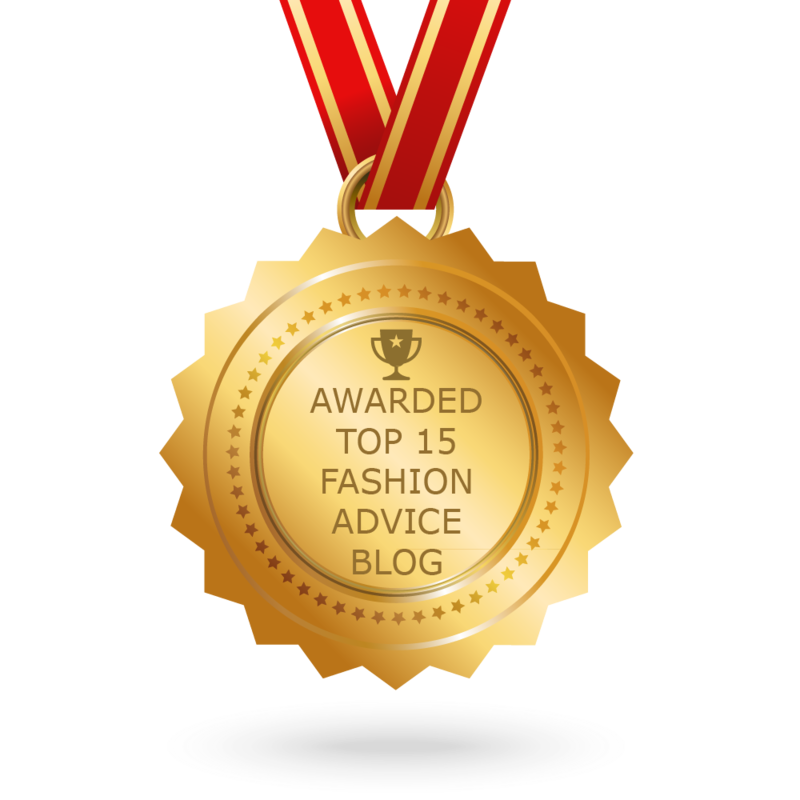 CONGRATULATIONS to every blogger that has made this Top Fashion Advice Blogs list! This is the most comprehensive list of best Fashion Advice blogs on the internet and I’m honoured to have you as part of this! I personally give you a high-five and want to thank you for your contribution to this world.